At the 2016 International Consumer Electronics Show, NETGEAR®, Inc. (NASDAQ:NTGR) (www.netgear.com), a global networking company that delivers innovative products to consumers, businesses and service providers, will unveil new additions to its award-winning product lines that power high-performance connectivity for all your devices throughout your smart home. NETGEAR will host press, analysts, customers, and channel partners this week in an invitation-only suite on the top floor of the Marriott Las Vegas, where the company will highlight new Nighthawk® WiFi routers and extenders, Arlo™ Smart Home security products, new powerline and PowerLINE WiFi adapters, fast cable modem products, and ReadyNAS® storage. At CES, you can see the full family of Nighthawk routers, which have all earned CES Innovation Awards at launch. 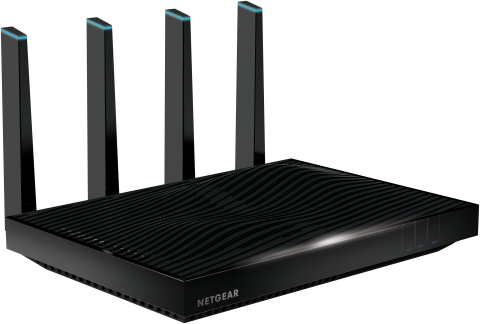 This includes the 2016 CES honoree, Nighthawk X8 AC5300 Smart WiFi Router (R8500) (www.netgear.com/R8500), which delivers astonishing Internet performance with combined WiFi speeds up to a blistering 5.3Gbps* (1000Mbps + 2166Mbps + 2166Mbps), a new record for a home router. With Wave 2 WiFi features including tri-band, quad-stream, and MU-MIMO capability, it offers the ultimate performance and experience in whole-home networking, at an MSRP of $399.99. Launching at CES, the new Nighthawk X4S AC2600 Smart WiFi Router (R7800) (www.netgear.com/R7800) is another 2016 CES Innovation Award winner. With dual-band WiFi and supporting Wave 2 WiFi features including quad-stream, MU-MIMO, and 160MHz bandwidth, Nighthawk X4S is an ideal router for 4K HD streaming and gaming. Its powerful dual-core 1.7GHz processor provides extreme 802.11ac WiFi speeds up to 2.53Gbps* (800Mbps + 1733Mbps). It maximizes connection speeds for sending data to multiple mobile devices simultaneously, with 160MHz-capable mobile devices able to enjoy up to twice the throughput provided by other routers. It has an MSRP of $269.99. See today’s press release for more information. ©2016 NETGEAR, Inc. NETGEAR, the NETGEAR logo, NETGEAR genie, Arlo, MyMedia, Nighthawk, PowerLINE WiFi, ReadySHARE and ReadySHARE Vault are trademarks and/or registered trademarks of NETGEAR, Inc. and/or its affiliates in the United States and/or other countries. DOCSIS is a trademark of Cable Television Laboratories, Inc. HomePlug® is a trademark of the HomePlug Powerline Alliance. Other brand and product names are for identification purposes only and may be trademarks or registered trademarks of their respective holder(s). The information contained herein is subject to change without notice. NETGEAR shall not be liable for technical or editorial errors or omissions contained herein. All rights reserved. * Maximum wireless signal rate derived from IEEE standard 802.11 specifications. Actual data throughput, data over distance, and wireless coverage will vary. Network conditions and environmental factors, including volume of network traffic, building materials and construction, home wiring construction and materials, interference from other electrical devices, age of home wiring, other networking products in use on the same network, network overhead, and other adverse conditions, may result in lower actual data throughput rate and wireless coverage. Power outlets and electrical wiring must all be part of the same electrical system and outlets must be electrically connected in order for devices to provide a network connection between them. NETGEAR makes no express or implied representations or warranties about this product’s compatibility with any future standards.